A few days ago I wrote about The Best Photography Book I Read in 2011 so today I wanted to mention a few of the Best Photography E-Books I read in 2011. I’m a firm believer that if we want to improve and develop our photography we need to constantly be learning. This is true about life in general. So without further delay I give you The Best Photography E-Books I Read in 2011. Dan is a professional outdoor adventure and travel photographer based in Alaska. He also flies planes. 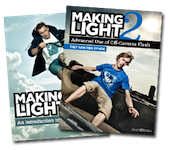 Dan wrote an 83 page e-book on using off-camera flash to light your outdoor photo shoots. It’s a great book that goes into the equipment Dan uses as well as the techniques to get those awesome looking outdoor shots. 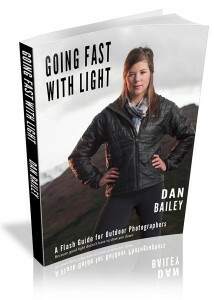 Read my full review of Going Fast with Light for more details. Rabari: Encounters with the Nomadic Tribe is an e-book that details not only the technical aspects of making a great image but also the initial thought and vision that goes into making it. Mitchell shot all the images in this book with what many would consider to be entry-level equipment but he proves that it isn’t the gear that makes the image; it’s the vision behind the gear. 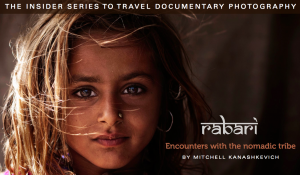 You can read more about Rabari: Encounters with the Nomadic Tribe in my review. This is another e-book by Mitchell Kanashkevich whee he details his workflow in Adobe Photoshop Lightroom. He goes into not only how he processes each image but delves into the why as well. Step by step Mitchell takes your from RAW to finished image. If you want to see the workflow of a professional photographer this e-book will show you the way. The e-book is comprised of 5 tutorials of 5 images. These e-books are part of the Craft & Vision series and are an excellent introduction to off-camera lighting. I reviewed Making Light Volume 1 as well as Making Light Volume 2 on this site. I’ll let the reviews stand on their own but to summarize these 2 books are a great introduction to off-camera lighting with volume 2 building where volume 1 left off. At $8 for the set you really can’t go wrong. If you are a beginner just starting out learning about photography and find yourself intimidated and stuck in your cameras auto mode then this is the book for you. It’s extremely well written in language even I can understand and delves into topics that will help you get out of auto and make great images without feeling intimidated. With topics like “getting a good exposure”, “composition” and advise on various shooting situations, this book offers it all. If your camera intimidates you, tame it with this book. If you have ever been interested in stock photography, specifically microstock this book goes into all the particulars about what it is and how you can get into it. 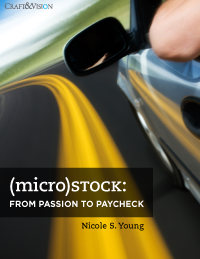 You can read my full review of Microstock here on the blog. 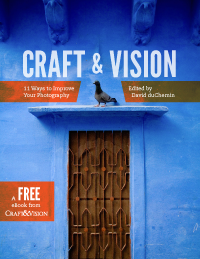 This is another fantastic e-book in the Craft & Vision series and the best part is that it is completely FREE. It’s a composition of articles by various Craft & Vision writers around the idea of something they wished they had learned sooner in their photographic journey. It’s an awesome book of tips and advice for photographers of any level. Did I mention that it’s FREE? This one isn’t specific to photography but it does talk about using new media to market your art be it photography or painting. If you want to learn how to create a fan base and sell your art without selling out then this is the “unconventional” guide for you. Included is a 55 page PDF guide and 5 MP3 audio interviews with PDF transcripts. Some of the artists interviewed include Michael Nobbs, Karen Walrond (photographer) and Soniei. I purchased the Basic “Starving Artist” version and it gave me lots of new ideas for my own photography. Of course I’ve read a ton of other e-books especially in the Craft & Vision series which are excellent e-books at an incredible price of $5. What I find so incredible is that now anyone can publish an e-book and reach a wide audience thanks to the Internet. The barriers to entry are no longer barriers and I think that is a very good thing. 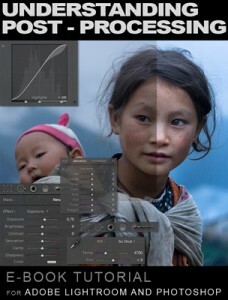 Have you read a good photography related e-book in 2011 that you recommend for 2012? If so let us know in the comments below.